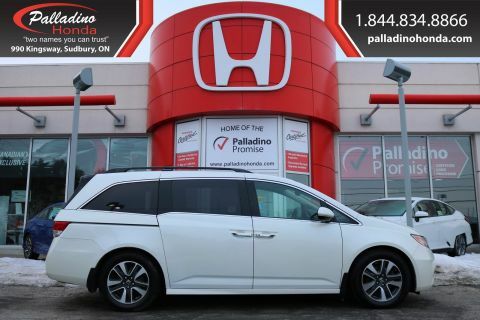 The Honda Odyssey has dominated it's segment for the last 15 years because it has exactly what families are looking for. Top rated in safety, amazing ride, great on fuel, very reliable and has all the features families would want. 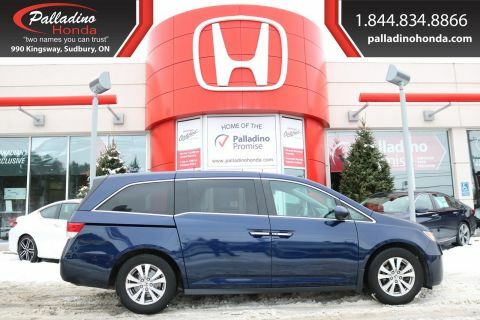 Sunroof, Cruise Control, Bluetooth Connection,Steering Wheel Audio Controls,Cloth Bucket Heated Seats, Power Fourth Passenger Door, Multi-Zone A/C, Keyless Start, Rear Parking Aid, 3rd Row Seating, Smart Device Integration, Lane Departure Warning and more. 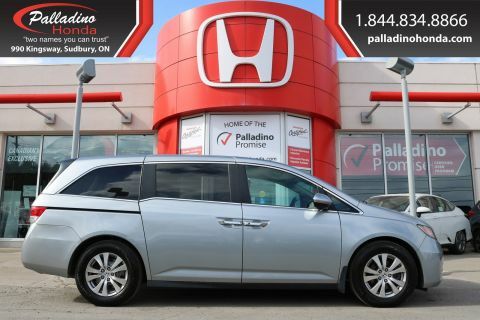 This Odyssey is the perfect family van, loaded with great features, spacious and fun to drive. Contact us today to come in and see it for yourself- you're not going to want to miss out on this one! 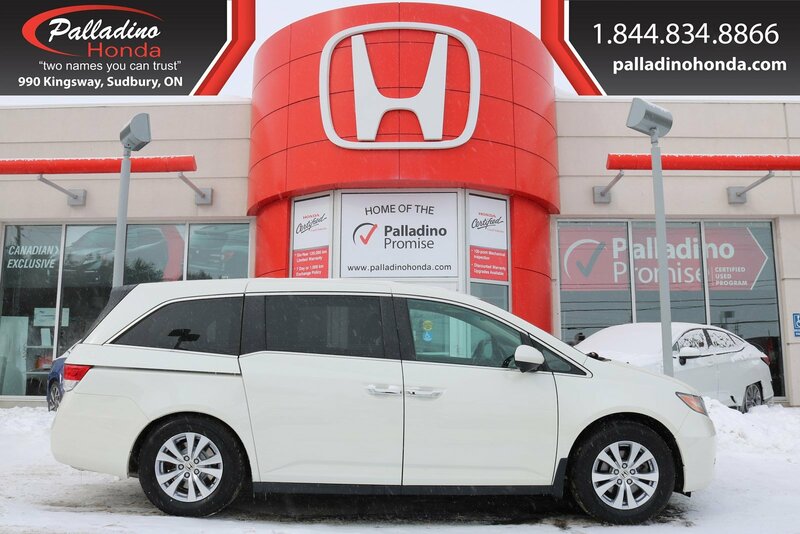 About Palladino Honda: As the largest pre-owned dealership in Northern Ontario we pride ourselves on customer satisfaction and courteous service providing market value pricing on each and every vehicle. This means that we have already done all of the research for you so you know with certainty that you are getting a great deal. ALL of our vehicles go through a 120-point Palladino Certified Used Vehicle Inspection. We provide full disclosure on all vehicles and at your request we will provide CarProof vehicle history documents. We are automotive financial experts and work with all major banks and Honda Financial Services daily. Give us a call today to find out more about our low finance rates!